A trio of Liberal cabinet ministers tried today to reassure Canadians the government has a tight grip on the spike in asylum seekers crossing into Canada, beating back Conservative claims that there is no clear plan or budget in place. Public Safety Minister Ralph Goodale, Immigration Minister Ahmed Hussen and Border Security Minister Bill Blair took turns on the hot seat during special hearings of the Commons immigration committee on the impact of irregular migration. They insisted a robust strategy is in play and pointed to recent figures showing a decrease in border crossers as proof the plan is working. "There is a challenge, but it is not a crisis," Goodale said during the marathon day-long session. Hearings were frequently sidetracked by partisan barbs, interruptions and heated exchanges as the Liberal government worked to downplay the problem and the opposition Conservatives accused the government of failing to address what they called a crisis. Tempers flared as opposition members asked questions and were either frustrated by the answers, or repeatedly interjected and did not give the ministers time to respond. 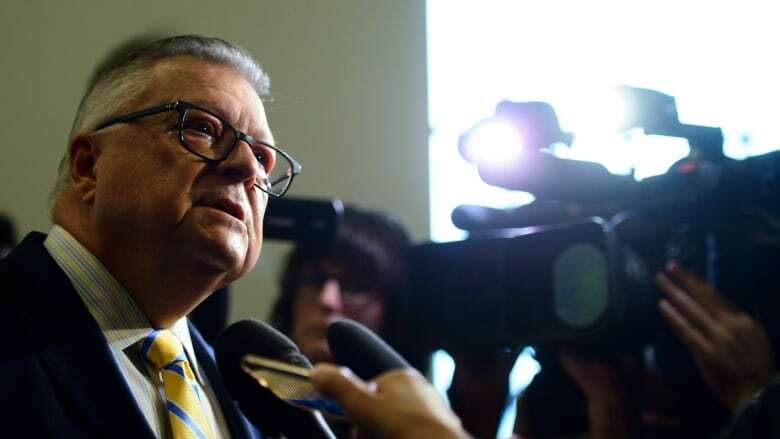 Goodale argued the government has developed a "flexible and nimble" response using technology, intelligence and international partnerships to manage the influx of border crossers effectively and responsibly. Laws are rigorously applied, he said, as Canada works to live up to its international obligations to provide protection to those fleeing persecution or safety risks. He noted that irregular migration is a global problem. "We should not be surprised that it's affecting Canada too," he said. "And we should not expect there to be easy, quick solutions to what is a complex, global problem." While many have pointed the finger of blame at the immigration and migrant detention policies of U.S. President Donald Trump, Goodale said the increase in asylum-seekers predates Trump's election. "I don't think you can say entirely that what is happening is a phenomenon triggered by politics in the U.S. because the origins of this began before that," he said. Border Security Minister Bill Blair, appearing at committee for the first time since his appointment to cabinet, was peppered with questions about his new role by Conservative immigration critic Michelle Rempel, who suggested his new job was just a public relations exercise on the part of the government. Grilled by Rempel, Blair could offer few details about his new responsibilities and said he has not yet received his mandate letter from the prime minister. While he will not have any agencies or departments under his watch, he said he will work through "cross-ministry collaboration" to tackle problems. Blair visited the Roxham Road crossing in Lacolle, Que., on Monday. He described the processing of asylum claimants and the collaboration between various officials there as an "absolutely seamless" process. "It was a really impressive operation," he said. 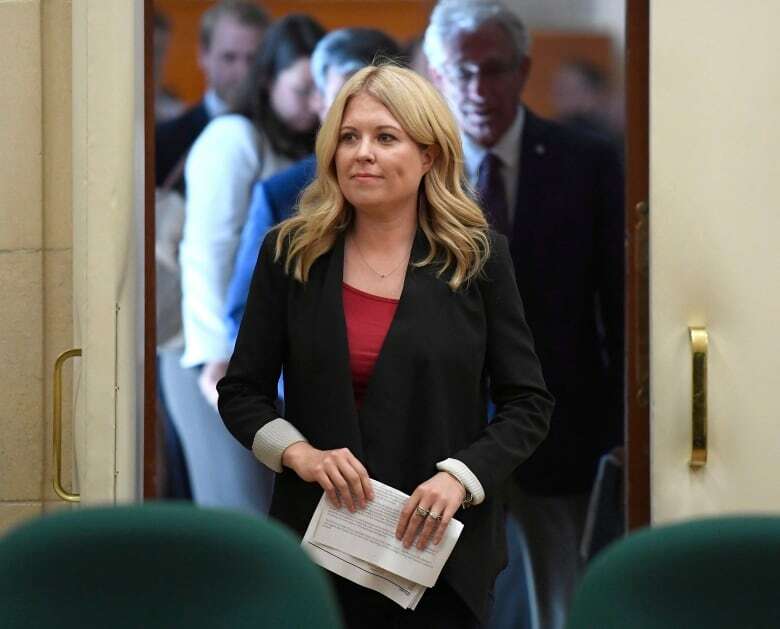 Rempel tabled the motion calling for the "emergency" committee meetings, noting that the influx of asylum seekers is putting a serious strain on cities like Montreal and Toronto. Many migrants will lose their temporary housing at university dorms early next month as students prepare to return to class, and many shelters have already reached maximum capacity. Blair confirmed those people now in dorms will be moved to hotels, but could not provide details or predict where future arrivals will be housed. Rempel accused the Liberal government of imposing new costs on the provinces and ruining what was a balanced, orderly and fair immigration system. Ministers have used "fear and division" to dampen criticism and silence debate, she said. "Justin Trudeau has no intention of restoring the system back to fairness and compassion. What's worse, he has done so without any plan to budget or pay for the costs of this decision," she said. "His failure to manage Canada's border is an urgent matter of public interest and Canadians are demanding action." Rempel said she left the hearings at day's end more confused than when she arrived, with few answers from ministers on the expected numbers of asylum seekers, where they will all be housed, or what integration supports will be provided. "We spent $22,000 on a committee study today that resulted in zero results," she said. "It was embarrassing, what happened in there." Immigration Minister Ahmed Hussen said the Conservatives fundamentally do not believe that Canada should live up to its international obligations with respect to asylum claimants. "These are international obligations that we've signed on, and that are now embedded in Canadian law," he said. "So providing due process to these people is part of Canadian law. It's not a choice." After the hearings wrapped up, Hussen accused the Conservatives of sowing division on an issue that should see close collaboration by all parties and levels of government. "They're deliberately misinforming Canadians and they're spreading fear and setting people against each other," he said. NDP immigration critic Jenny Kwan made repeated requests for witnesses to stop calling asylum seekers "illegal," arguing it disparages them and stokes negative public sentiment, and renewed calls to suspend the Safe Third Country Agreement. She accused the government of taking an "ad hoc" approach. "They're holding fast to their original approach, which is a reactionary approach to the situation we're faced with," she said. Amid the intense politicking, Seidu Mohammed of Ghana, who lost his fingers to frostbite while making the dangerous crossing to Canada at Emerson, Man. in December 2016, told his harrowing tale. He said he credits Canada's legal aid and health care systems with saving his life. "Immigrants are here to follow the laws of this country, so we want the Canadian people to protect us with hope, courage and tell us, 'You are safe here,'" he said. Statistics from Immigration, Refugees and Citizenship Canada (IRCC) show the RCMP intercepted 10,744 people at irregular border crossings between January and the end of June this year. Last month there were 1,263 irregular border crossers, down from 1,869 in May 2018. Jean-Nicolas Beuze, the UN refugee agency's representative in Canada, said the flow of migrants across the Canada/U.S. border is a slow trickle compared to the volume arriving in places like Europe. He cautioned against inflaming tensions by describing those who ultimately don't qualify for protection as "bogus claimants." "We hope the populist rhetoric which seeks to gain short-term voting support will not bias the discourse and the discussion around those people who are irregular arrivals and are entitled to the protection of Canada pending the determination of their case by the Immigration and Refugee Board," he said. Beuze said most asylum seekers quickly become economically self-reliant, finding jobs and supporting their families. He said it's extremely important not to "scapegoat" refugee claimants for problems — such as shortages of housing — that predate their arrival. Adam Vaughan, parliamentary secretary to the minister of social development, agreed that the housing crunch has persisted for decades. "The situation confronting Toronto is not a crisis in the refugee system. The situation facing Toronto is a housing crisis and there has been a housing crisis in Toronto since the mid-1990s," he said. The federal government has earmarked $50 million to support housing in communities taking in asylum seekers, with $11 million going to Toronto. Vaughan said the government is working to improve and expand a triage system through which refugee claimants are transferred from big cities to other locations to share the burden. Ontario's Minister of Children, Community and Social Services Lisa MacLeod, who recently locked horns publicly with Hussen on the issue, told the committee the province has incurred $200 million in costs for shelter, social welfare and education costs, yet the federal government has only offered the province $11 million. Since January 2016, Ontario has accepted 36,000 refugee claimants and another 5,500 who made their initial claims in Quebec. The province has a long history of welcoming immigrants and refugees, but this "unprecedented" surge is testing its patience, MacLeod said. "These crossings are an entirely different matter and it is taking advantage of Ontarians' generosity." 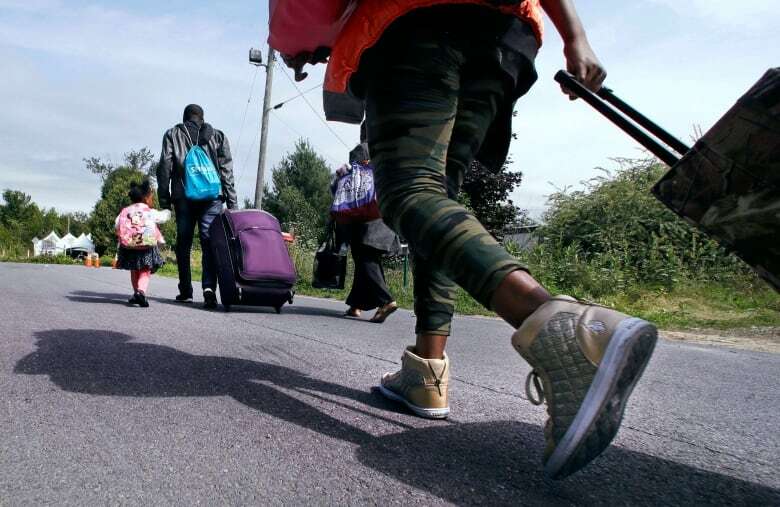 But Randy Hope, mayor of Chatham-Kent, said that at a time of skills shortages and school closures due to a declining population, Ontario needs to open its doors to migrants. "We see this crisis that everybody refers to as an opportunity for my community," he said. Rempel had called for the committee to produce a report based on today's hearings, but Liberals on the committee rejected the idea.